Start your day with a nutritious, scrumptious and healthy energy shot: an avocado smoothie bowl with granola. Enjoy! Put the banana, avocado, kefir, ginger, lime, vanilla and honey in the blender and mix until everything is smooth. 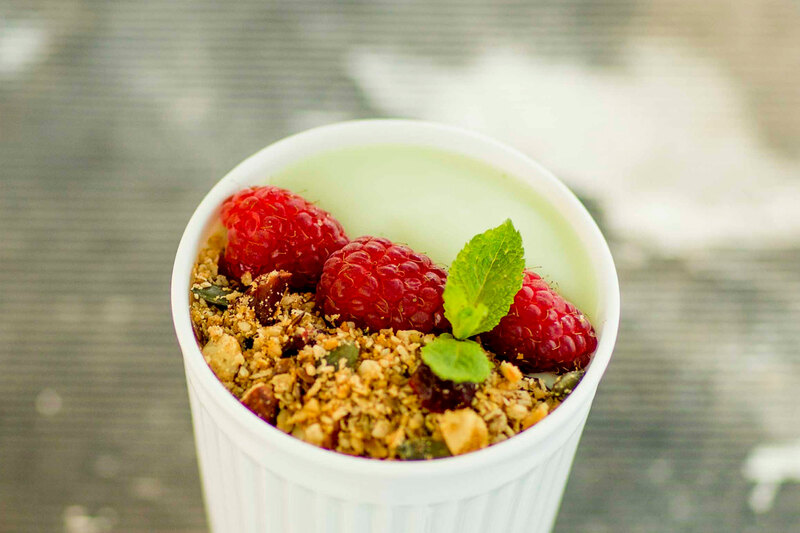 Pour the mixture into a bowl and finish with Totally Nuts granola, raspberries, or a different topping to your liking. Bon appétit!